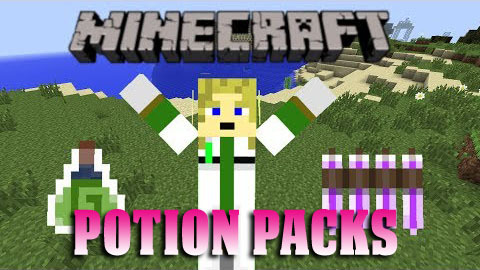 Potion Packs Mod lets you tie potions together into packs of 8. It sounds so useful that you should utilize this mod. Let’s play it to discover more! Tying a bundle of arrows together one day got me thinking: Why not do the same with potions? This is the result. A bottle of water, nether wart and paper in any order make the goods. The Haste potion can be refined by crafting it with either redstone (duration), glowstone (power) or lapis (overcharged, but toxic).